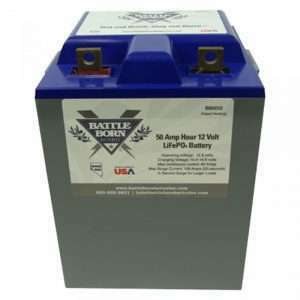 Battle Born batteries seem to be taking the world by storm lately, we know because we are the undisputed #1 seller of these lightweight, power packed LiFePO4 beauties in the world. Happy customers have been upgrading their batteries in their RV’s, travel trailers, motor homes, boats, homes, cabins, etc, taking full advantage of everything these LiFePO4 batteries have to offer. We mean, who wouldn’t want lighter batteries that can be charged faster, last longer, do not suffer from memory effects, have a lower self-discharge rate than other battery types, contain no toxic components, are environmentally safe, can be discharged deeper than any other battery, have up to a five year warranty and 3000-5000 cycles? We can go on and on and on…did we mention the 10 year warranty? 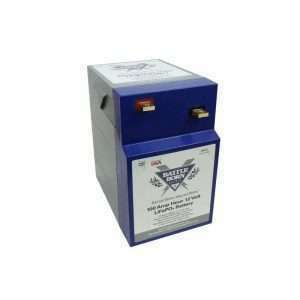 So, why should YOU purchase your Battle Born LiFePO4 batteries directly from Inverters R Us? 1. EXPERTS! We know these batteries inside and out… literally! We’ve been to their factory countless times and have seen first hand how each battery is made. If you ever have a question regarding Battle Born LiFePO4 batteries, we will have an answer for you! 2. FRESH! We pick up batteries from Battle Born twice a week, so you know our batteries will be as fresh as possible. 3. HAZMAT Certified! Inverters R US Corp is certified by FedEx to ship LiFePO4 batteries which means we know how to safely and securely pack and ship your new lithium batteries to you. We are proud to say that after thousands of shipments, we have never had a damaged battery show up to a customer’s door. 4. PRICE! 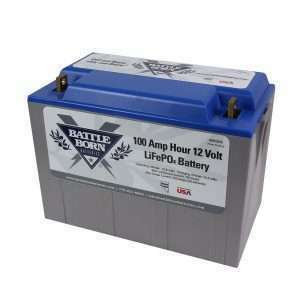 You will never find NEW Battle Born LiFePO4 batteries priced lower anywhere on the planet! 5. PAY LATER! With our Paypal Credit option to pay, you can buy now and pay no interest if paid in full within six months! We offer free shipping and no tax on these batteries (outside of Nevada). We can ship BattleBorn batteries Monday-Friday all the way up until 4:00PM PST! We are Battle Born LiFePO4 experts so if you have a question, please don’t hesitate to call us today! Ask us about our Buy Now, Pay Later option for all Battle Born Batteries! IN STOCK! We are the #1 Battle Born Retailer, we ship until 4PM PST!